We have a truly unique new listing in our car section: a limited edition Aston Martin that rarely comes up for sale is now available online. Here are the details. By Alex Olefirenko, automotive journalist. The car was limited to 77 unique examples, and the Aston Martin people didn’t let automotive journalists test it. If you take a quick look at the listing in question, the owner’s description gives very few clues. Year? 2011. Mileage? 531 km (311 miles). White exterior, red interior. The additional description reads: Please email or call JamesEdition.com for more information. 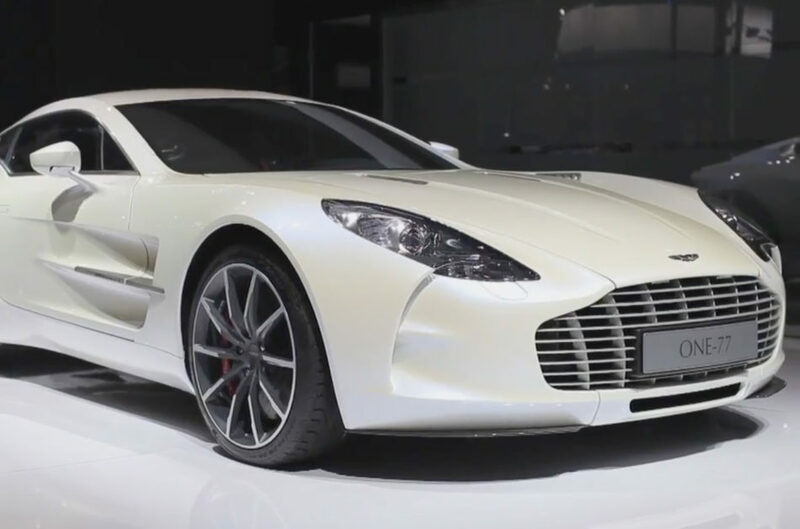 Okay, let’s remember why the Aston Martin One-77 is considered such a rare find — and a very good investment. This is not an exaggeration. There are many exciting tales surrounding the One-77. This is probably because so few people had the privilege of driving this exclusive model. The Aston Martin people didn’t let automotive journalists test it. The car was limited to 77 unique examples. 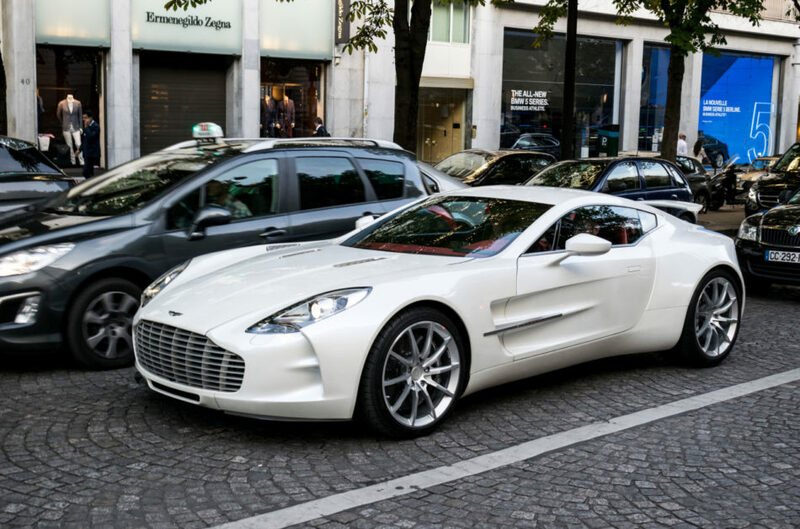 The One-77s are extremely rarely sold. What sort of reputation does it have? Well, people say that a sheikh has built a racing track with some pretty sharp turns in the desert specifically for his Aston Martin One-77. He did this to evaluate the performance of this car. A rare case when all the power and skill of a large car brand are thrown at the release of a small-scale car. Each model is a rarity. In the history of Aston Martin there were only three true supercars: the prototype Bulldog, the elegant One-77 and the futuristic Valkyrie. One 77 is not the rarest of them, but only because Bulldog was one-off as a concept car. As the name implies, Aston Martin built only 77 of these machines, the last seven of which were designed under the Q by Aston Martin personalization program. These copies have different trim, new exterior colours and wheels. 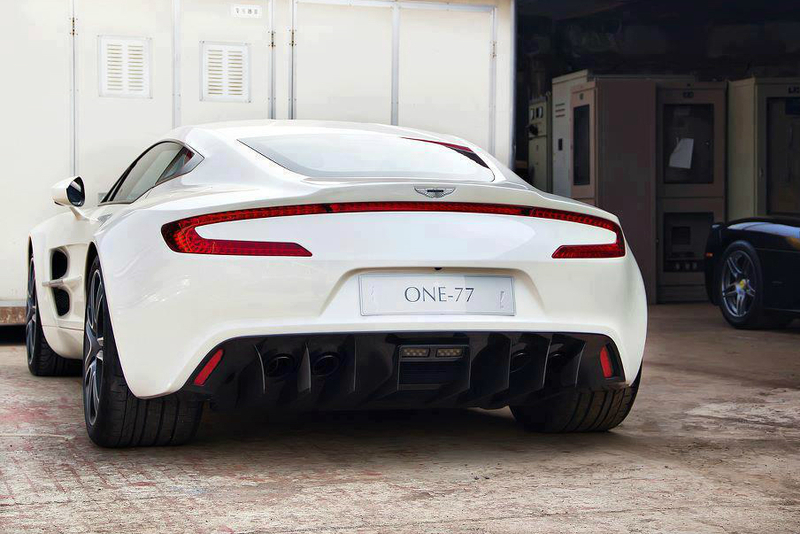 One of the copies of the One-77 was damaged in an accident in Hong Kong, therefore, presumably, 76 such machines remain. The era of these cars is coming to an end. This makes them even a more rare purchase that will only grow in value in the future. 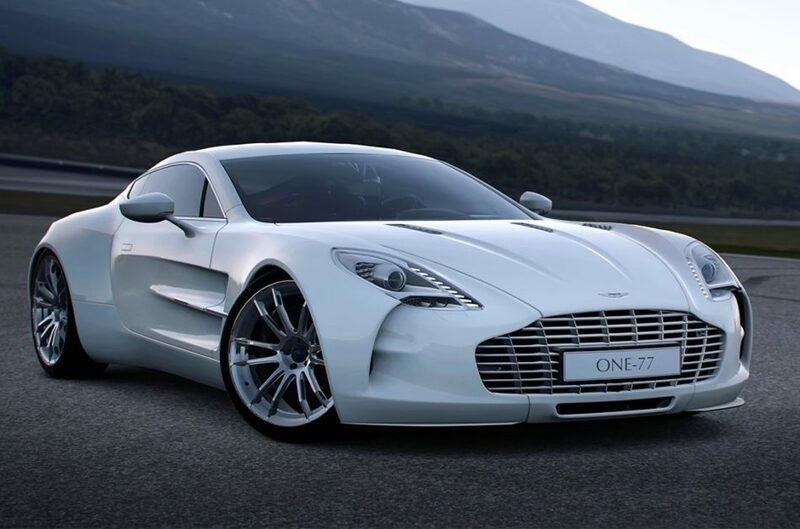 The One-77 does not have a turbocharger, a supercharger, or electric motors on a driving axle. However, it has a stabilization system that can be completely disabled, as well as a limited slip differential, whose influence can be felt even at low speeds. Whichever way you look at it, the Valkyrie, fitted with a hybrid power mechanism, has a more complicated relationship with the driver; it will simply have too many electronics in it. And given there is only one Bulldog supercar, the One-77 will remain unique even among the rest of Aston Martin car models. It is the reason why it is valued so highly today. At the time of its release, Aston Martin One-77 had the most powerful naturally aspirated engine ever fitted onto road-legal cars. At the time of its release (2009-2012), Aston Martin One-77 had the most powerful naturally aspirated engine ever fitted onto road-legal cars. 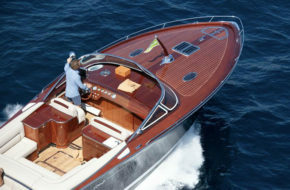 Officially, the power provided by a 7.3-liter V12 engine was 750bhp but, in reality, the output was a little below 800bhp. Cosworth Engineering who built engines for Formula 1 developed the engine and, as it should be for a racing powertrain, the V12 engine under the hood of One-77 received a dry sump lubrication system that eliminates oil starvation during high g-forces. All engines for this model were assembled by hand. 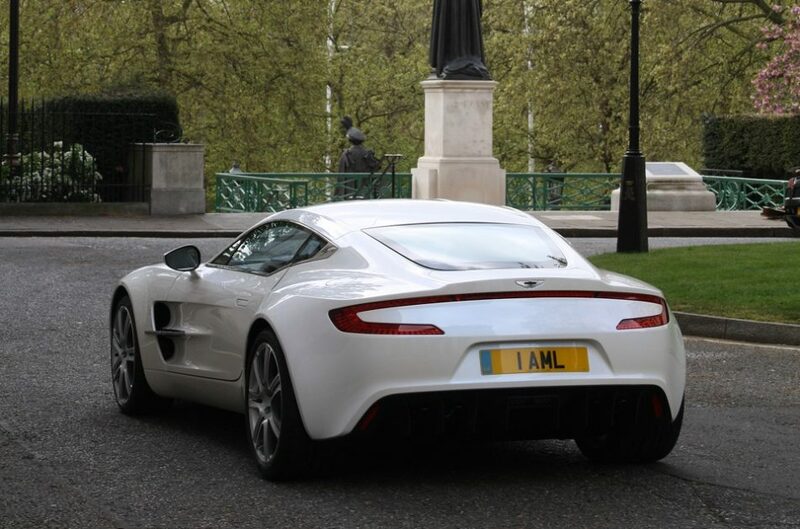 JamesEdition Supercar Newsletter: Why subscribe? Top stories and listings offering an alternative way to the JamesEdition supercar club, delivered to your inbox every week. Hardly anyone will argue that One-77 is incredibly beautiful from any angle — we’re tipping our hats to Chief Designer at Aston Martin, Marek Reichman. Only a chosen few know what the car hides under its stunning body. The car’s exterior is immensely rigid lightweight carbon fibre monocoque clad in a seamless bodyshell handcrafted from aluminium. It took three weeks of manual labour to create the front wings for each copy of the One-77 – each of them was tapped with the wooden mallets on a special blank. Through the use of CFRP car chassis weighs only 400 pounds, and the entire One-77 – 3594 pounds. Not so much as for a coupe with a 12-cylinder engine and a luxurious interior. The One-77 does not have a modern dual-clutch automated manual gearbox with the galore of gears (there are only six). But this does not prevent the car, released in 2011, from being extremely fast, even by the standards of 2018. To get to 60mph, One-77 spends just 3.5 seconds, 0-100 mph – 6.9 seconds, which is comparable to the dynamics of Enzo Ferrari. The maximum speed, in turn, is 220 mph – the same as, for example, Lamborghini Aventador S.
Officially, the power provided by a 7.3-liter V12 engine was 750bhp but, in reality, the output was a little below 800bhp. The One-77’s front independent double wishbone suspension complete with pushrod actuated coil springs is exactly the same as on the racing prototypes appearing at Le Mans. And just like the same racing prototypes, this car is tunable for each driver. Before shipping the One-77 car to its owner, Aston Martin finds out where the client lives, which roads he prefers and what driving style he follows. In accordance with this information, the front and rear suspension of the supercar is individually tuned – there are no two One-77s in the world that runs in the exactly same way. Besides the owners of One-77 and Aston Martin test drivers, very few people got to drive this model (the company did not grant access to automotive journalists for testing). Perhaps the number is limited to 100-200 people around the world. Care to join this private car enthusiast club?